8632 Bryant Farms Rd. Charlotte NC 28277. You may also pay online HERE. This will begin the registration process. How would you describe your child to others? To whom should school correspondence be sent? Is there any special medical or any other information regarding your child/children that our school should be aware of? As the parent(s) or legal guardian(s) of child/ren noted above, I/we authorize any adult acting on behalf of Chabad Hebrew School to hospitalize or secure treatment for my child. I further agree to pay for all charges for that care and/or treatment. It is understood that, if time and circumstances reasonably permit, the School will try to communicate with me prior to such treatment. I/we hereby give permission for my child/ren to attend all field trips and outings sponsored by Chabad Hebrew School, and allow my child to photographed while participating in school activities. I/we understand that these photographs may be used for publicity purposes. I/we hereby give permission for my child/ren to be transported by Chabad Hebrew School on field trips. The Ballantyne Jewish Center is committed to providing wonderful and enriching programs to every Jew in Ballantyne and surrounding areas, and our continued growth is made possible by the support we receive from friends like you. Unlike traditional synagogues, Ballantyne Jewish Center does not ask for annual membership dues or require any building fund payments. Each Chabad Center is self-supporting and is funded individually from the charitable giving of individuals. To help support the myriad holiday and educational programs, social events, and religious services of BJC, we have created the Annual Partnership Program and are inviting you to become our partner. If you are already a partner in this program, Thank You! We appreciate your support. 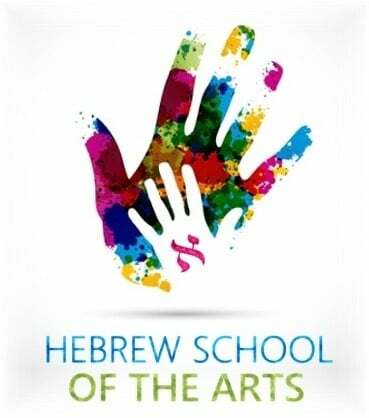 ﻿﻿The following is a tuition agreement for the Chabad Hebrew School. The agreement explains the tuition fees, payment plans and refund policies. Please read it through carefully and sign your name. Please choose one or both options below. There is a non-refundable registration fee of $50 per child. NON PARTNERS: Tuition for a single child is an additional $695. PARTNERS: Tuition for a single child is an additional $595. Tuition for a Volunteer in Training is an additional $200. We are enrolling Select One One Child Two Children Three Children Four Children at Chabad Hebrew School. ﻿﻿﻿Please note, payment plan does not include $50 deposit per child. This deposit must be received in order to accept your child to Hebrew School. In addition, all tuition obligations must be paid in full by March 30, 2019. A staff member will contact you in August to confirm payment plan details. If you feel that you are unable to meet the tuition obligations, please email info@JewishBallantyne.com to apply for a scholarship. I/We have read and agree to the registration policies listed here. Shabbat Dinner dates will be sent out once they are confirmed. I/We agree to the terms and conditions of the tuition agreement as noted above.